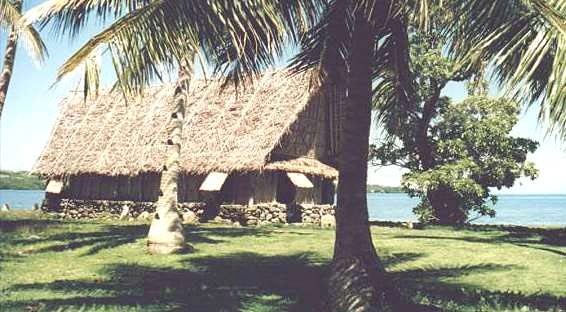 On the north coast of Yap is the Bechiyal Cultural Center. It is a working village that welcomes visitors. Accommodations include either camping or staying in the thatched roof guest cottage. There is no electricity so bring a flashlight and batteries. You can reserve the guest cottage by calling Chief John Tamag 350-2939. For about $5 per meal you will also be served what the villagers eat for the day. Typically, breadfruit, taro, fish, crab, and a drinking coconut. The people here are rather shy so bring a book or two. The beach is great for swimming and they do have fresh water showers.